Going for a club-ready tribal House vibe, Afrojack and Sunnery James & Ryan Marciano whip the crowd into shape with this banging edit of Jewelz & Sparks’ ‘Bring It Back’. Today, following the announcement of the final winners from the worldwide talent search “Global Remix Battle I” powered by PMC Speakers, Grammy-winning DJ, and producer Afrojack and LDH Europe release the accompanying EP “Global Remix Battle I EP” featuring the remixed tracks of the contests’ finalists. Throughout his illustrious career, Afrojack has often showcased an unparalleled mastery of the full musical spectrum, and his latest release on his Wall Recordings label sees him push it to an even higher. Nicky Romero’s ventured into new territory by releasing his country-inspired release “Rise” with Stadiumx featuring Matluck back in August. Showcasing a versatile and expansive range of music, Grammy-winning dance music DJ & producer, Afrojack, has today released a new EP titled – Press Play. Emerging just in time to turn this year’s flurry of next-level festivals into even more of a scene-defining escapade, Nicky Romero unleashes his remix treatment onto the new single of Afrojack and German duo Jewelz & Sparks. Top 10 DJ online stores you need to shop at! It’s almost time for the summer and you know what that means? Shopping! So, in build-up of your summer spending spree we thought we’d showcase some of the best apparel and merch from the top 10 DJ Online stores you should definitely know about! Throughout his over a decade long career, Afrojack has been indulging in a bevy of successful collaborations that spotlight the magnitude of his sound as well as that of his partners-in-crime. 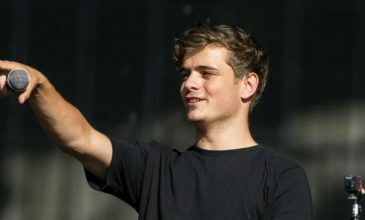 Today, the electronic music star has notched up another stellar offering as he joined forces with internationally acclaimed German DJ and producer duo Jewelz & Sparks for One More Day. Grammy award winner, Afrojack shows no signs of stopping this year with a slew of epic releases already under his belt for 2018. Now, he teams up with rising stars D.O.D and TIM-BER for new single Started, out now on his own label Wall Recordings. Hey Buddy!, I found this information for you: "Afrojack + Sunnery James & Ryan Marciano team-up for massive club edit". Here is the website link: https://themusicessentials.com/music/afrojack-sunnery-james-ryan-marciano-team-up-for-massive-club-edit/. Thank you.